Their conclusion: The benefits of mammography, though real, have been oversold, while the harms have been minimized. Annual mammograms reduce the risk of dying from breast cancer by about 19 percent, but the benefit varies widely based on a woman's age and underlying cancer risk, the study found. For instance, about 1,904 women in their 40s would have to be screened to prevent one death, compared with just 377 women in their 60s. That's because breast cancer becomes much more common as a woman ages. At age 40, a woman's risk of getting breast cancer in the next 10 years is 1.5 percent. At age 50, it's 2.3 percent. And a 60-year-old has a 3.5 percent risk in the next decade. The results were published Tuesday in JAMA, the journal of the American Medical Association. The analysis found that about 19 percent of women who are diagnosed with breast cancer as a result of a mammogram are overdiagnosed — getting surgery, chemotherapy or radiation to treat a cancer that would never be life-threatening. 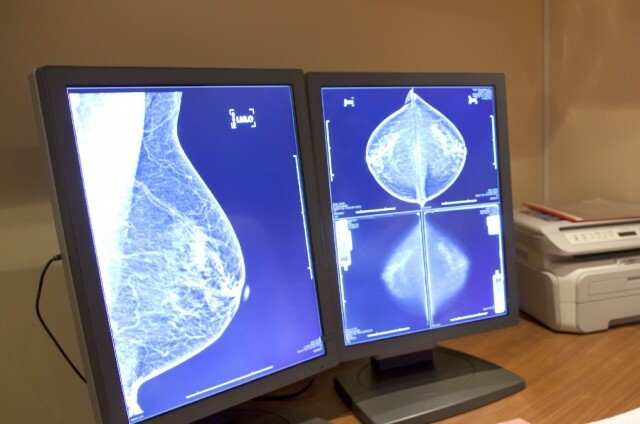 The bottom line, the researchers say, is that mammography is a less-than-perfect screening test, and doctors and patients need a lot more help figuring out if and when to use it. "Decisions about mammography should involve discussion of risks, benefits, uncertainties, alternatives and patient preferences," the authors write. And women age 75 and older really need to consider whether they should be having mammograms at all, a second study in JAMA reports. As the researchers point out, there are no randomized controlled trials of mammography in women in that age group. So there's no way to know how much they might extend a woman's life. So the harms of screening probably outweigh any benefits in women who will live for less than 10 years, the researchers say, and women who think they will live longer than that should talk with their doctors about the benefits and risks.